The University of Southern Maine graduation is split into morning and afternoon ceremonies at the Gorham campus fieldhouse. 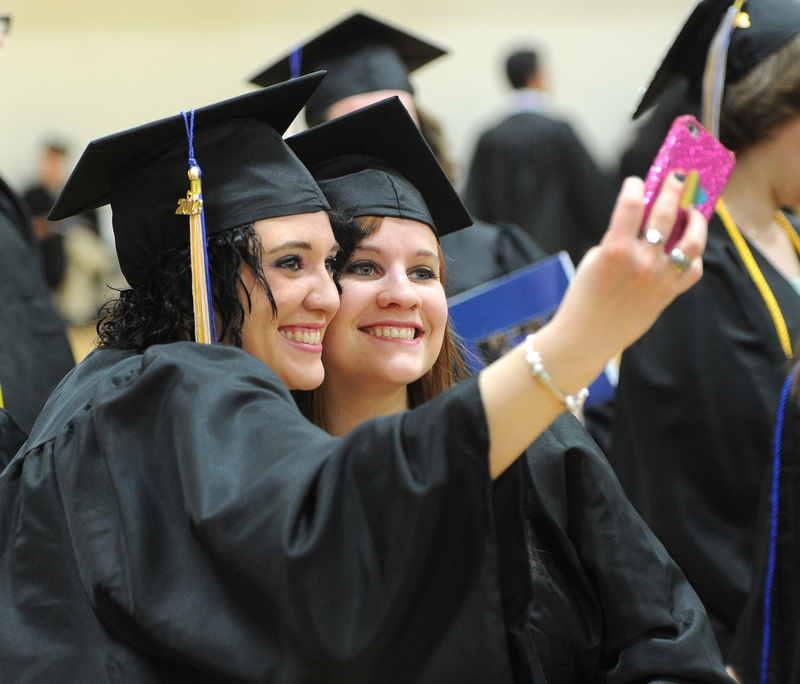 GORHAM – A half hour before the University of Southern Maine graduation Saturday, students in black gowns and mortarboards gathered in alphabetical order in lines according to their majors. That is how Robert Ballard of Palmyra ended up in the front of the other self-designed majors. Ballard, who majored in classical studies and plans to teach high school Latin, said the ceremony was for him more of a steppingstone than a major lifetime achievement, since he still needs to take education courses before attaining his goal. “It is bigger for my parents because this is not the end of the road by any means. 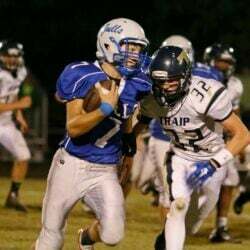 But it is an accomplishment and I am proud of it,” said Ballard. 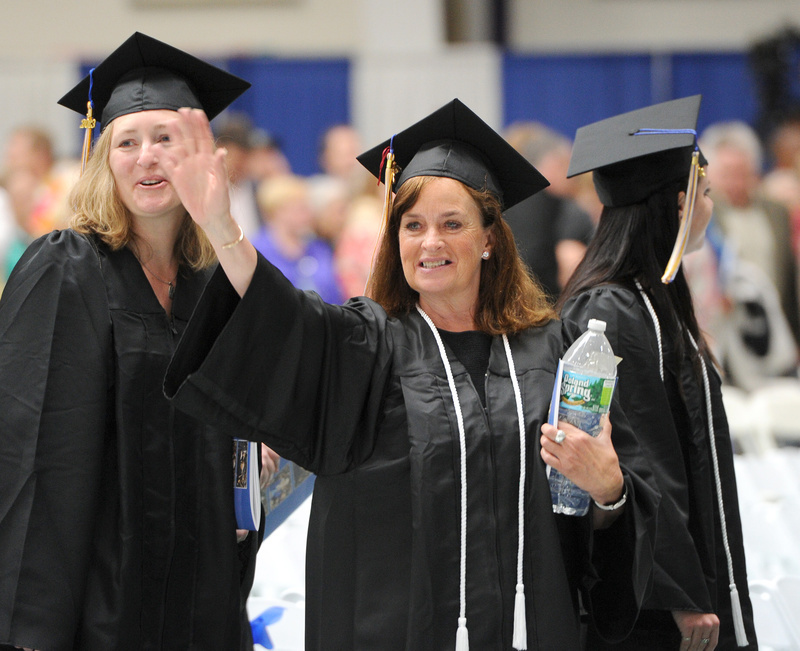 Ballard was among 1,000 graduates participating in two commencement ceremonies at the university’s Gorham campus Saturday. They were joined by more than 9,000 onlookers. 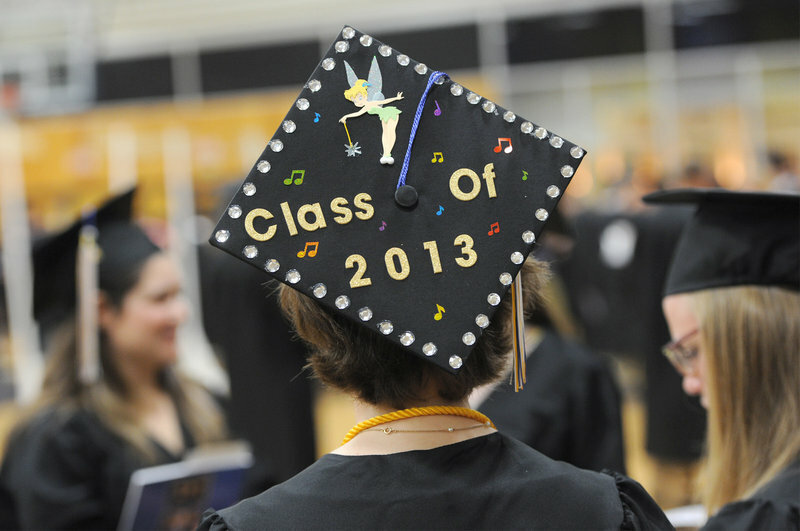 In all 1,600 students are receiving degrees from USM this year. This was the first time graduation took place on the Gorham campus. Usually the graduation takes place at a single ceremony at the Cumberland County Civic Center in Portland. But with that facility undergoing renovations, the ceremony was held in two batches at the Gorham campus field house. The rain, a broken shuttle bus and parking problems delayed the morning ceremony by 15 minutes and latecomers had to stand. But the crowd appeared upbeat and enthusiastic as the graduates took their seats. Lynne Welch, her husband, Tom Welch, and their daughter Sophie ventured from South Berwick to watch their neighbor Lauren Redmond graduate. “She is like a sister to me,” said Sophie. Graduate Clarissa Bergeron-Lawrence of Fairfield, a theater major, said she was thinking of her high school drama teacher, Jeff Watts, who taught her that theater is more than just reading lines on a stage. “It is about community and making worlds,” said Bergeron-Lawrence, who plans to take courses in Montessori education in Hawaii and become a theater teacher herself. As commencement speaker, Sen. Susan Collins noted that she could not remember the speaker at her own college graduation. She called on the graduates of USM to turn to the wisdom of Maine artist Winslow Homer for advice on how to live their lives. Collins said Homer recommended “joy, gratitude and hard work” in order to reach one’s goals. Student speaker Noah Hurowitz, a former news editor at the USM Free Press and now a news assistant at the Forecaster weekly newspaper, told his fellow classmates that their degrees give them options. “It’s time to take chances. It’s time to find a calling. It’s time to live,” said Hurowitz. Honorary degrees were presented to Ashley F. Bryan, emeritus professor of art and design at Dartmouth College, a children’s book author and illustrator, and an Islesford resident; and Everett “Vic” Firth, principal timpanist with the Boston Symphony Orchestra for 50 seasons, a music teacher and Sanford High School graduate who has a home in York.